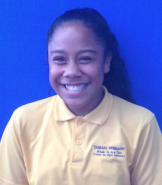 Kia Ora my name is Ajani and I am 12 yrs old. My new teachers are Ms Aireen and Ms Kelly. My favorite subjects at school are Maths and reading. My favorite sports are Netball and Rugby League. My favorite food is sushi. The thing i am looking forward to do this year is making new friends and working in my new class. I admire Roger Tuivasa Sheck.